Starring; Denzel Washington, John Goodman, Don Cheadle and Melissa Leo. 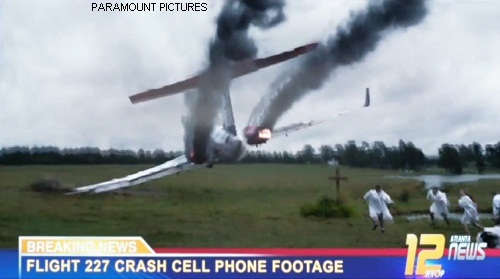 Denzel Washington stars as Whip Whitaker, a seasoned airline pilot, who miraculously crash lands his plane after a mid-air catastrophe, saving nearly every soul on board. After the crash, Whip is hailed as a hero, but as more is learned, more questions than answers arise as to who or what was really at fault and what really happened on that plane? FLIGHT opens in theaters on Friday, November 2, 2012. FLIGHT has been rated “R” by the Motion Picture Association of America.